Finding the perfect foundation or blusher can be time consuming and expensive. Although many stores provide testers, this is not ideal for those wishing to test the product in different lights and settings. Thankfully, many cosmetic companies offer free samples of their products and, we’ve put together the following guide to getting your hands on these samples. How to Find Free Make Up Samples Online? There are a number of websites from which you can get hold of free make-up samples and, below, we list 13 of the best. World famous cosmetic brand, Sephora, knows a thing or two about make-up – and is happy to supply free samples of many of its fabulous products. Following a simple and quick registration process on the site, members can choose up to three free samples every time they order online. Samples include Cover X Power Play Foundation, Prada Sugar Pop, a number of different facial cleansing products and free perfume samples. Cosmetic giant, L’Oreal USA, offers make-up lovers the opportunity to join its Consumer Participation Panel. After registering online to become a panelist, members will then be invited to on-site events where they will test – and keep – fabulous make-up products. Those who are unable to attend in person have the option to receive samples by mail. Although members don’t generally get to choose the products that they test, this is a great way of trying new hair and make-up products before anybody else – and free of charge! Relative newcomer, Smashbox, is for many people, the go-to for vibrant and fresh cosmetic products. The site offers a huge number of samples either free or for a minimal $1 with any purchase. Samples available range from sachets of moisturizer to full sized eyeshadow duos and make-up bags. 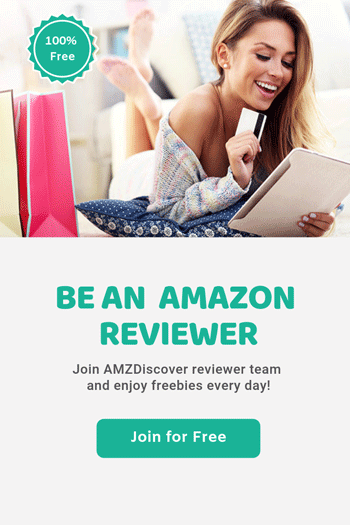 Product Testing USA invites members of the public to sign up to become reviewers – and to keep anything that they review. Although not exclusively a make-up site, Product Testing USA often has cosmetic items to review. All you need to do is register online, adding a few details about your likes and dislikes and, new products to be reviewed will soon be winging their way to you. Read about Product Testing USA review: Product Testing USA Review: Is It Legit Or Not To Test Products? Popular online magazine, Redbook, invites readers to join Club Red in order to receive free samples for review as well as the chance to attend exclusive events and win prizes. Once you log onto the site, you will be directed to a short questionnaire on your interests and lifestyle. After filling in the form, simply click on the button which says ‘Get me free stuff’ and add your email address and, offers will be sent to you daily. Easy as one, two, free, The Pink Panel is a consumer panel site for the ladies. Simply fill in a few details, like the Facebook page and you’ll automatically receive free offers and be given the chance to take part in surveys and special events. Allure Beauty Enthusiasts is an opinion site which rewards members for filling in surveys with prizes and freebies. The surveys vary in length and are exclusively about make-up and beauty products. As well as prizes, the site offers the chance to take part in on-site focus groups and VIP beauty events. Unfortunately, Allure Beauty Enthusiasts membership is currently only available to those in the USA. Glamour Magazine’s Glamspotters is available to members worldwide. There’s quite a long survey to be completed in order to register on the site which asks about your preferences and readership of Glamour Magazine. Once registered, you will be able to log into the panelist area where you can view all upcoming events and choose to take part in surveys which are rewarded with prizes and offers. You will also be given the option of signing up to receive offers by email. Everyday Minerals offers the chance to try 5 custom eyeshadows paying only for the brush and shipping. Unfortunately the website is a little tricky and takes some patience as the items are not always loaded into the shopping basket. It’s worth persevering as there are great shades to choose from to make up your mini kit. Simple and straight-forward, Bastar’s home page features an online form to be filled in. The only snag is that, in order to receive samples, you must be requesting on behalf of a registered team, studio or school with at least 12 members and must provide proof such as a website or Facebook page. Influenster is refreshingly quick and easy to join – the home page takes you to a simple online registration and, after email verification, you’re signed up to receive newsletters and offers by email including prizes, freebies and event invitations. Hailed as a beauty community, Influenster’s website doubles as an online magazine and features lots of articles, tips and advice as well as news of freshly released beauty products. What could be better than daily free samples? My Savings whizzes free sample offers to your email address through a very simple online registration. Once registered, you’ll receive daily emails from the site with news, reviews and, of course, those all important free make-up samples. The website’s home page also includes offers and freebies – the current offers for July on the home page are a NeilMed Sinus Rinse for cystic fibrosis sufferers and a Bella and Bear make up bag and brush set which can be bagged in just a couple of extra clicks. In Style Trendsetters is an online community and, another survey based site whereby members can complete surveys online in order to be entered into prize draws with the chance to win a whole host of beauty related prizes. By becoming a panelist, members also have the opportunity to occasionally receive free samples to test and review. Unfortunately, In Style Trendsetters is only open to residents of the 50 States and Columbia at this time. As well as all of the sites listed above, there are almost limitless places to get free make-up samples if you know where to look. If there’s one thing the internet loves, it’s a freebie. From electrical equipment to personal hygiene, there are a huge number of sites out there dedicated to giving you lots of lovely free stuff. You can always perform a Google search for specific items but, if you’re looking to browse, Cashbackbase is a great source of free products. It’s easy to search site allows you to quickly find relevant freebies and you can sign up to the newsletter to receive offers and freebies straight into your inbox! Check the video below to learn more. Not just for chatting with friends and sharing pictures of cats, the popular social media site is a great place to score make-up freebies. A quick search of ‘free make up’ in the search bar will bring up options for pages and groups such as the Free Beauty Samples page. Simply like the page to receive beauty offers and freebies on your Facebook feed. It’s no secret that big beauty brands want you to buy their products – and they know that the best way to do this is to let you try before you buy. Sign up to major make-up brands such as MAC, L’Oreal and Bobbi Brown online to receive offers and free samples. Most major make-up brands are also happy to hand out free samples of their products in-store so don’t be shy, pop in and ask for some! Like any other industry, beauty product suppliers want to know what you think – and are prepared to reward you for your opinion. Beauty product testing panels allow you to receive free make-up samples in exchange for your reviews and opinions. To see a list of 22 beauty product testing panels to sign up to now, visit moneypantry.com. By signing up to platforms such as Street Fight, you can put yourself in the front row when it comes to hearing about the latest products and beauty events. Online resources for lovers of all things beauty and make-up, these platforms are a great way to find out what’s new, what works and, get to try them for yourself. If there’s something happening, you can bet that global giant Amazon is in on it! Amazon Prime members can access free samples and offers through Prime Samples. Although not strictly free as Amazon Prime does come with a monthly charge, this charge can quickly pay for itself in terms of freebies (as well as free delivery on all ordered products). When you know where to look, there are a surprising number of places where budget-savvy fashionistas can bag bargains and freebies with just a couple of clicks of a mouse. As well as the sites listed in our guide, a simple Google search for ‘free make up’ will bring up enough sites to keep your make-up bag bursting at the seams for a long time to come!